An airy, light-filled alfresco dining area perfectly suited to long lazy lunches. The Verandah is the ideal venue choice for your mid-sized catch-ups and events. 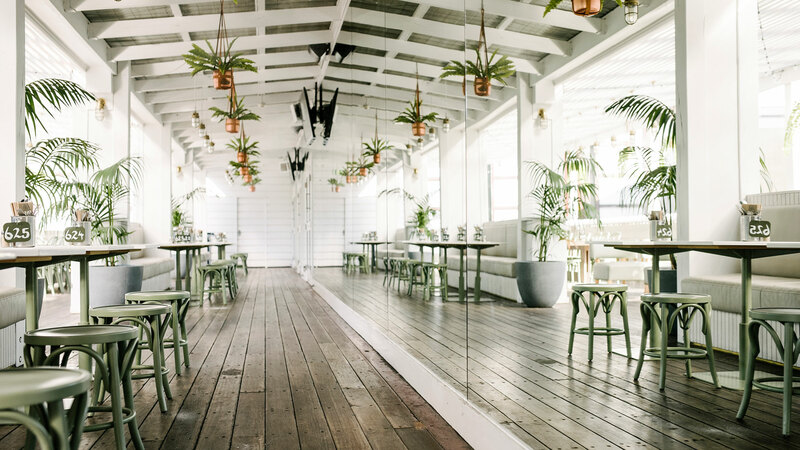 A huge, fully covered space overlooking the Beer Garden and adorned with hanging ferns, floor to ceiling mirrors, festoon lighting, and a host of chic finishes. The Verandah offers the ultimate in relaxed, stylish outdoor dining.